Simple Living Ideas: Parenting Simplified: By the French??? | Simple Living and Eating: Simple Living Ideas: Parenting Simplified: By the French??? Simple Living Ideas: Parenting Simplified: By the French??? I have traveled a lot in my life. Take a look at my Pinterest board if you are curious as to were I have been. I travel in order to take myself out of context and learn who I really am. Along with self knowledge, I am also endlessly fascinated by how different customs are from one country to the next, yet paradoxically how much we all share the same humanity. Having children has definitely decreased the time I have to travel, so occasionally I try to read books written by Americans who are living abroad who share their insights into our culture by experiencing another culture. 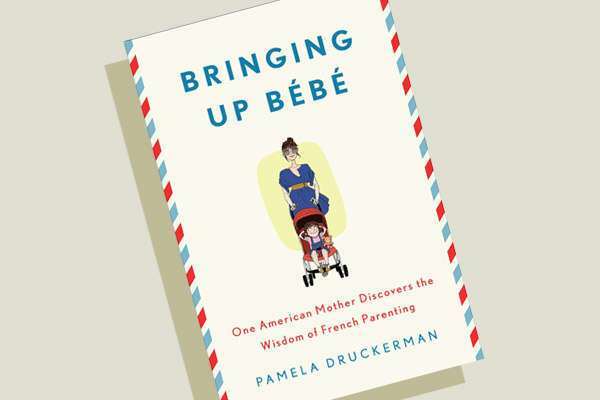 Pamela Druckerman’s book: Bringing Up Bebe: One American Mother Discovers the Wisdom of French Parenting caught my attention because Anglo culture has through out time been in opposition to Franco culture. The French parenting style is very simple. A child from a very young age is taught the rhythm of his family and society. French parents are very firm about sleeping, eating, and behavior. The French listen to their children, but they do not think just because they listen that a child is right. They strongly believe in teaching self-control through delayed gratification as a way to develop self contented and resilient adults. In simpler terms they instill good habits. When I was growing up kids played outside all day. Why? Well, we didn’t have video games.. true. But we also had parents who believed they were entitled to have a conversation with their friends, so they would just send us outside. I don’t know about you but when I was little I rarely saw a kid that was overweight. Yes, we were more physically active, but we didn’t snack like kids do today. At school we were given a pint of milk and a single graham cracker to fueled us until lunch. After school I was not allowed to gorge on junk food. It wasn’t in our house. Snacking was controlled. My kids are 10 and 12 and they still ask me if they can have a snack - because if it is too close to the next meal I say, “no.” Remember hearing, "No you can’t have a cookie now it will ruin your appetite.” Well, these words are still being said, but in French. So, check out this book, it really is interesting to look at how another culture raises their children. I’m sure you will find many things you agree with and many things that are well... just too French! This looks like a fascinating book! Thanks for sharing! It is really is interesting to realize that ours is just one way of child raising, and that there are plus and minuses to all ways of raising kids. There are definitely some things the French do better, esp. in regards to food, but we are definitely better at building academic confidence and encouraging intellectual risk taking. I really enjoyed the chapter on raising good eaters! Great ideas - if only my son weren't so dog-gone strong-willed!!! Have you tried cooking with him. I found my kids were much more open to meals they helped prepare.